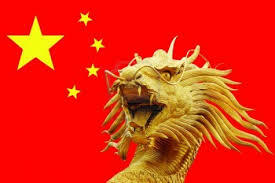 He said that Chinese soldiers have already left the port, though reportedly they did not manage to take with them all the people intended to evacuate, not all of the Chinese nationals. An unnamed Yemeni official confirmed to Reuters that the people who disembarked from the Chinese ship were armed guards aiding civilians, not ground troops. Meanwhile, amember of the political council of the Ansar Allah group, the armed wing of the Houthi rebels, has declared as cited by RIA Novosti that in case the airstrikes of the Saudi-led coalition on the Yemeni territory continue, the Houthis will have to attack Saudi Arabia. “We have the power for a retaliatory strike, but the decision will be made when other options are exhausted,” Daifullah Shami, a member of the Houthis’ Ansar Allah political council told RIA Novosti on Thursday. If killing of innocent Yemenis continues, Houthis prefer death on the battlefield to dying in bombs strikes, Shami said, commenting on the possibility of an attack on Saudi Arabia. Skirmishes on the Saudi-Yemeni border have already begun. One Saudi soldier has been killed and up to 10 have been wounded in shootouts, reports Al-Arabia. The firefights took place near a border check point, reports RIA Novosti. Despite airstrikes delivered by Saudi Arabia and its Gulf allies, the Houthis have been continuing their offensive against the loyalists of ousted President Abd Rabbuh Mansur Hadi, who fled to Riyadh. The Houthis captured the central district of Aden on Thursday, Reuters reported, citing residents. This southern port city remained the last stronghold of forces loyal to Saudi-backed President Hadi. Heavy fighting in the city started early in the morning and the rebels have now allegedly deployed tanks and patrols in several parts of the city. “The victories in Aden today embarrass this campaign and silenced the aggressor states,” Houthi spokesman Mohammad Abdulsalam told the group’s al-Maseera TV channel. The fighting in Aden means that Saudi Arabia’s military intervention has failed, the spokesman insisted late on Wednesday. 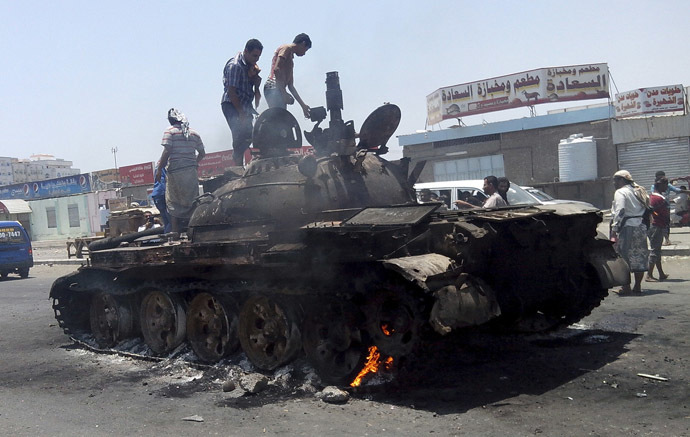 The rebels claim they now control up to 90 percent of Aden’s territory, reports RIA Novosti. The Shiite Houthi rebels, believed to be backed by Iran, are not the only non-governmental force operating in Yemen. While rebels were busy capturing the port of Aden, Al-Qaeda militants have stormed the center of the coastal city of Al-Mukalla and captured the local prison, setting free about 300 inmates, many of whom are militants, AP reported. The port of Al-Mukalla reportedly remains under control of the jihadists who have blocked all the roads leading to the city. The situation in Yemen in general remains chaotic, with fighter jets of the coalition inflicting airstrikes throughout the areas under control of the Houthi rebels, including the capital, Sanaa. Though the allied Air Force target mostly military facilities, weapon depots and infrastructure, the strikes befell on civilians too. Forty-five people were killed and another 65 injured in an airstrike by a Saudi-led coalition at a refugee camp in Houthi-controlled northern Yemen on Monday, the International Organization for Migration (IMO) said.